The San Pedro Town Council would like to thank Mr. David who donated a basketball rim and four basketballs for the use at Boca del Rio Park. 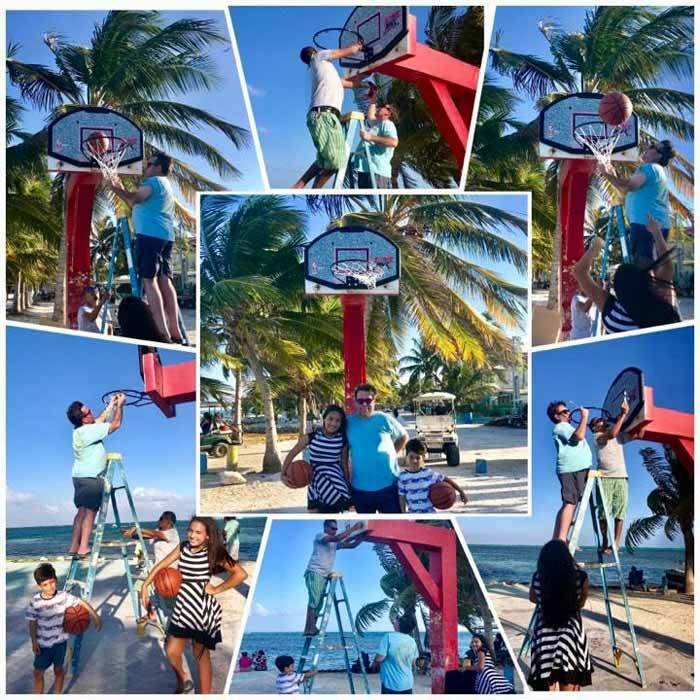 With the help of Juan Carlos, Kahlen and Alexius, the rim was quickly installed for children to use. Thanks again guys! Thanks to Delva Corina Alvarez for the great pictures!